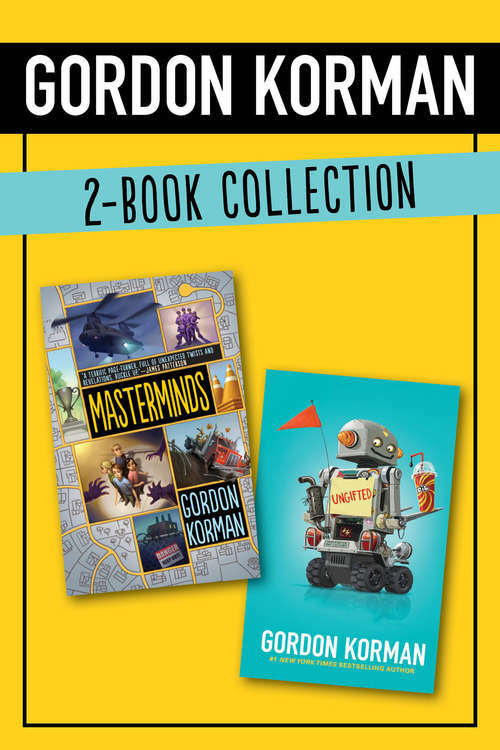 Here are two adventure-packed novels perfect for introducing middle grade readers to the work of #1 New York Times bestselling author Gordon Korman.Ungifted: When Donovan Curtis pulls a major prank at his middle school, he thinks he's finally gone too far. But thanks to a mix-up by one of the administrators, instead of getting in trouble, Donovan is sent to a special program for gifted and talented students. The program couldn't be a more perfectly unexpected hideout for someone like him. But as the students and teachers grow to realize that Donovan may not be good at math or science (or just about anything), he shows that his gifts may be exactly what these students never knew they needed.Masterminds: In idyllic Serenity, New Mexico, honesty and integrity are valued above all else. The thirty kids who live there never lie--they know it's a short leap from that to the awful problems of other, less fortunate places. Then one day Eli Frieden bikes to the edge of the city limits and something so crazy and unexpected happens, it changes everything. Action-packed and full of unexpected twists, this new series is perfect for young fans of James Patterson and John Grisham.